This research alliance brings together educators, policymakers, researchers, and others interested in educator effectiveness and evaluation. The alliance seeks to guide the development and refinement of educator preparation and evaluation systems in Texas and across the REL Southwest Region for improved educator practice and student learning. 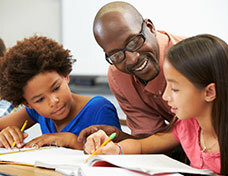 Are teacher evaluation scores associated with characteristics of students or schools? What professional development do educators participate in, and how does this professional development relate to educator evaluation results and feedback? What is the capacity of educators and school districts to implement a new educator evaluation system and its components? How much does it cost (monetary and nonmonetary costs) to implement a new educator evaluation system?